When it comes to headphones, I’ve often run into the same problem. They’re too big. Ridiculously big. Mr. Geek calls it “adorable,” I call it a nuisance. The tightest option is still too big for my head, and my ears swim inside of the headphones’ ear pieces. When I heard about Frends’ new Taylor headphones (made for women), I was hopeful and a bit skeptical. “Really, we need our own headphones? And is it just about the looks, or do they actually work well?” Well, smaller headed women, rejoice. 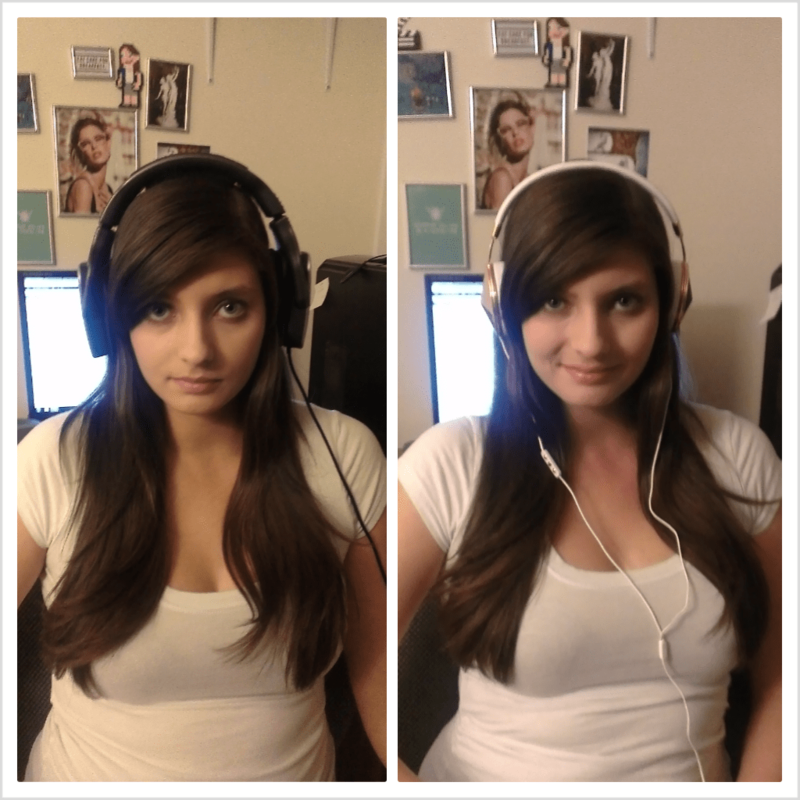 These headphones fit SO much more comfortably than the Tritons I’m wearing in the first pic. The metal and leather of the headphones are comfortable and fashionable, my ears fit where they’re supposed to, and the sound quality is fantastic. You can also apparently hook it up to an iPod or iPhone and use the headphones’ controls to make phone calls, adjust volume, and switch between songs. And if girly concerns matter to you, the headphones claim to be made to eliminate hair snags and be comfortable to wear with earrings. So far, no complaints from me! Best Buy was lovely enough to send a set of the headphones to my local Best Buy Mobile Store, and if you haven’t been in to one, you should check them out. They’ve got all the phones and phone accessories you could want, and a knowledgeable sales team that doesn’t work on commission. While I was in there, I asked one guy to take a look at my phone (an unlocked HTC OneX+ for AT&T that I’m using on my T-Mobile account) and he was able to fix it and offer some great app suggestions in minutes. If you’ve got a tiny head like mine and you want cute headphones that work AND fit you as headphones should, check out Frends. You can find them at bestbuymobile.com. And for the next few days, you can get them for 10% off by printing out this coupon!